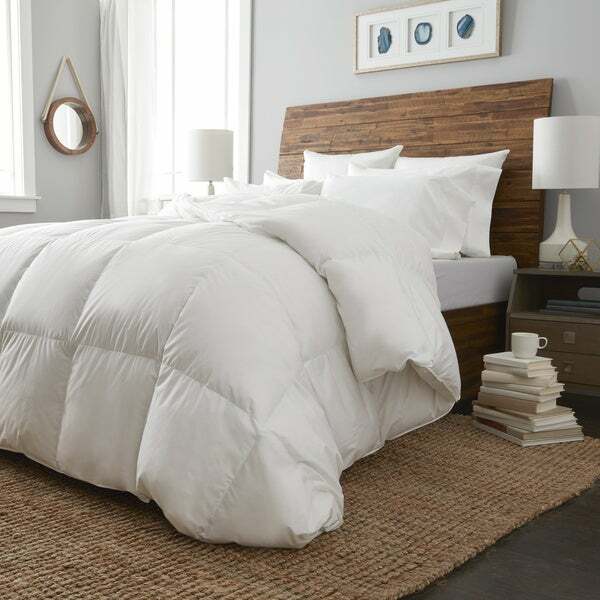 White Hungarian goose down with a 650 fill power and all cotton cover gives this European Heritage comforter a luxuriously soft, comfortable feel that will keep you warm all year round. The down fill has been through a unique double wash and quadruple rinse program to ensure a hypoallergenic comforter that's perfect for any bed. "How much goose down is in the comforter"